Last month I had a lovely day out in London, hosted by Tefal for the Innovation Panel that I am a proud member of. 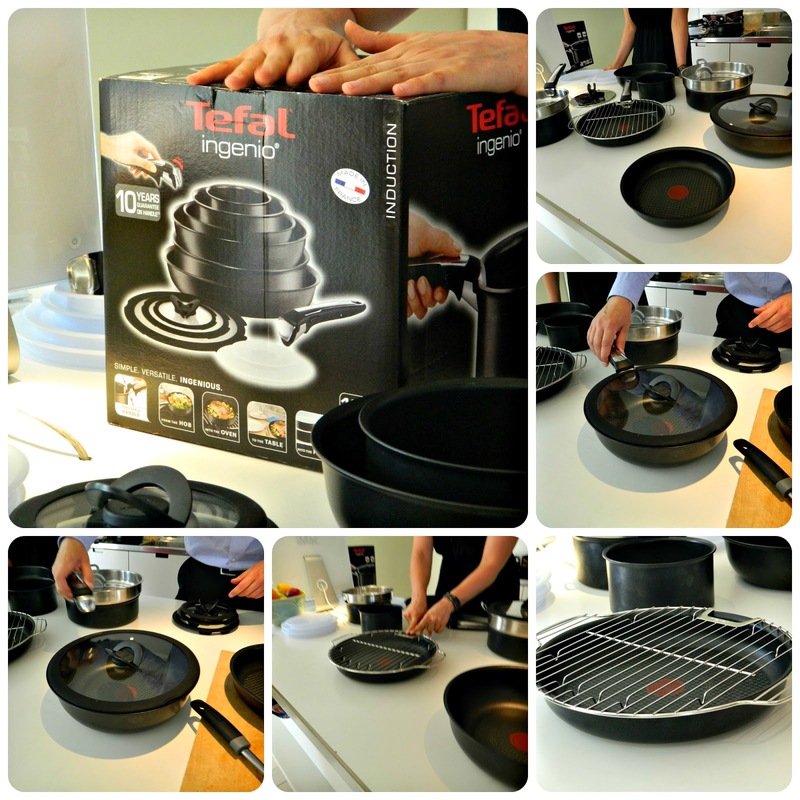 I've already shared the Tefal Optigrill with you and this week I'm bringing you the Tefal Ingenio range of cookware. Ingenio has 20 million fans across the world who have been able to buy the range for many years but it has never been possible to buy the cookware in the UK until now. I'm sure a few of my readers are now thinking, 'what's so special, aren't they just pans?' Well, the simple answer is no. The Ingenio range offers you a complete cookware solution. These pans can go from freezer and fridge, on to the hob, into the oven, on to the table and then into the dishwasher without any decanting into bowls, plastic containers or serving dishes. These aren't just pans, they are storage, tableware, bakeware and freezerware. The simple way they do this is by taking off the handle!' Remember all those times when you've turned pan handles away from the edge of your hob to remove temptation from little hands? Think about the pile of pans you have on your work surface or in your cupboard, and the space they take up. Think about the difference in space that removing those handles would make. That's what Tefal have done. 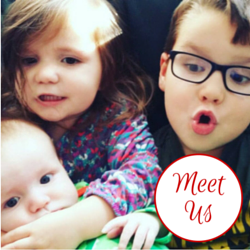 It's simple, it's ingenious, it's Ingenio! We were treated to a full demonstration of the range at our Panel event and we saw the ease with which the handle is attached and removed. In addition to the pans, of all sizes, and handles the range includes glass lids, plastic lids and a variety of other accessories. I have weak wrists which means that draining pasta or potatoes can be a real struggle for me. Imagine a colander which you can attach your Ingenio handle to, to make dealing with a hot pan, hot food and hot water a much more easy process. There is also a steamer insert, and a grill tray, both of which allow you to increase the functionality of your Ingenio pans in an easy,seamless way. Each handle can hold up to 10kgs and is guaranteed for ten years. 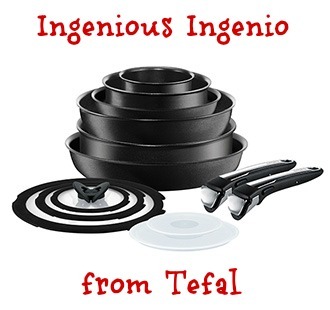 It goes without saying that the Tefal Ingenio range includes all of the features that make all Tefal cookware great, it includes the Thermospot and fantastic non-stick coating with the usual lifetime guarantee. The Ingenio range is available in two style, one suitable for use on all types of hob, including induction and the other with a stylish enamel coating. They are oven-proof to 240 degrees, fridge and freezer proof (using the plastic lids to seal) and all items are dishwasher proof too. I received the basic Ingenio set at our London event, which includes a saucepan, two frying pans and a handle and I've been enjoying trying them out. I'm delighted by how much space they save on my work surface and I'm thinking I need a shopping trip soon to buy some of the stackable glass lids, and possibly the colander, to make the most of the set I have. The large frying pan has been the one I've used the most and being able to pop it in to the oven to complete the cooking of a Spanish Omelette without any concerns has been a revelation. 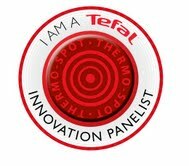 Disclaimer: I am a member of the Tefal Innovation Panel and received a set of pans in order to share the range with you. All opinions are open and honest.